There's no Business Like Show Business! Actors, and the Business of Entertainment. What has Hollywood portrayed accurately? 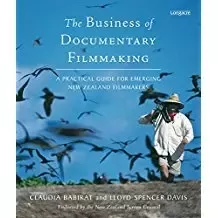 When Hollywood makes a documentary, it is usually portrayed “somewhat” accurately – but if it is a movie “based on real events”, liberties may be taken to make the film more marketable and appealing to the target audiences. In addition, the actual historic locations may have been updated or changed, so that the producers have to come up with a facsimile or alternative site for shooting parts of the film. If you watch Charleton Heston as Moses in “The Ten Commandments” movie, many liberties were taken in “re-creating” ancient Egypt for the movie. Keep in mind this is just my opinion, many of the directors and writers don’t have direct experience with the subject, due to age, distance, or lack of available information – which forces them to take artistic liberties with a story. 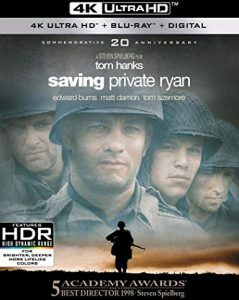 For an example, “Saving Private Ryan” had a lot of consultants (many veterans) for the recreation of the wartime scenes; some veterans were moved to tears from the reality of the D-Day landing on Normandy beach. The fighting scenes were so real, that (IMHO), they overshadowed the story. Hanks and Spielberg also collaborated on the WWII Museum in New Orleans, which also has a “Hollywood” touch, but is true to its mission. (I have visited the museum and can vouch for its realistic feel. If you go, see the movie they show first). At best, Hollywood can only recreate a series of events. Even with historians and written records, the lack of actual first-hand accounts and items lost to time, or worn out, make it necessary for the production company to improvise. If that fits with the story, and it feels “real”, we can usually forgive some artistic license. Thanks for reading my Blog! Feel free to like, upvote, share and repost! Edited and expanded from my answer on Quora. I’m 15 (UK) and I love acting but I can’t sing. Do I have any chance? Can I get into a drama school? How did Arnold Schwarzenegger get to the USA? Who are some famous actresses who are natural blondes? What’s it like to work as a paparazzi? What type of movie or role should Leonardo DiCaprio take on next? Financially speaking, which is best, to be a music star, a TV star, or a movie star? How is it that Marisa Tomei looks like she stopped aging at 30? Do you think it’s good or bad that Daniel Craig is coming back for another James Bond film? What kind of glue can be used on skin? In this case, for fastening rhinestones. For the movie Cake, how did Jennifer Aniston prepare to play a chronic pain sufferer? What is Javier Bardem’s best role? Who is Joe Cocker? What is he best known for? Is it true that actors or future actors face anxiety or stage fright during acting classes or auditions? Do Celebrities always act mean to Paparazzi?